Today in Cooking Tech @ Tamaki we made oreo milkshakes. 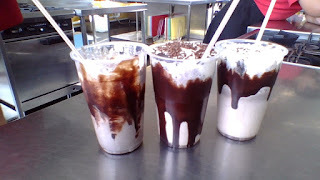 In our milkshakes we had oreos, chocolate sauce, ice cream and milk. On top of our shakes we put whipped cream, sprinkles and an oreo. I really enjoyed cooking class today because I love food and sweet things. 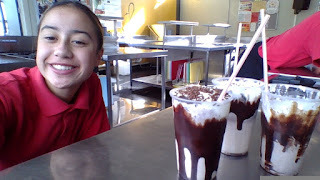 Today I made my milkshake with Vinolia. I enjoyed cooking with her because she is very cool. This is the presentation I have completed for this weeks Home Learning. This presentation is based mostly on maths. I hope you enjoy and learn.